Are you a P.G. 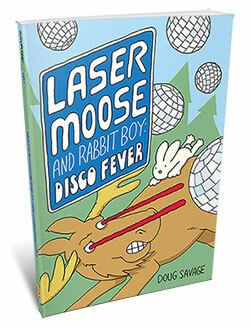 Wodehouse fan? Here’s an excerpt from his book “The Code of the Woosters” (1938):”I could see that, if not actually disgruntled, he was far from being gruntled.” If that’s your inspiration, could you mention the book? 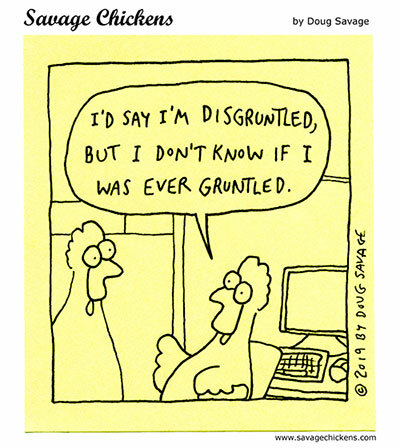 Not to ruin the joke or anything, but “disgruntled” is left over from a form of English modifier where “dis-” would intensify an already-negative term; to be “gruntled” was to be angered/upset to the point of grunting/grumbling. Actually, it isn’t; “gruntled” is a back-formation meaning “happy”.